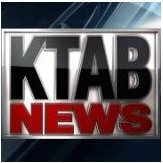 News TV Channel / KTAB-TV is the CBS affiliate television station serving Abilene, Texas. It is owned by Nexstar Media Group and broadcasts on digital channel 24. KTAB is licensed to Abilene and broadcasts on a High Definition digital signal on UHF Channel 24. KTAB shares studios with NBC affiliated KRBC-TV located on South 14th Street in western Abilene, and also shares a transmitter facility with KRBC along Texas State Highway 36 in rural southwestern Callahan County.